As American students confront the multiple challenges of standardized tests, international comparisons, and drop-out pressures, educators and policy makers are seeking bold new teaching approaches with increasing urgency. One such approach--the introduction of innovative computer technologies into the classroom--has met with enthusiasm among students and instructors alike. 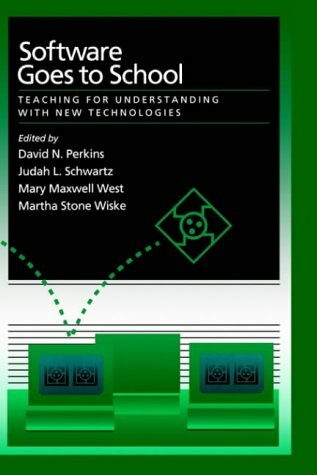 Software Goes to School brings together leading experts to offer an in-depth examination of how computer technology can play an invaluable part in educational efforts through its unique capacities to support the development of students' understanding of difficult concepts. 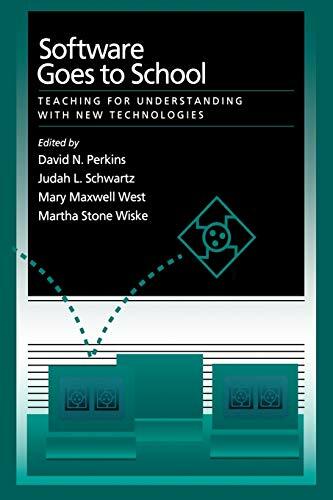 Focusing on three broad themes--the nature of understanding, the potential of technology in the classroom, and the transformation of educational theory into practice--the contributors discuss a wealth of subjects central to any efforts that intend to improve our schools. Topics range from the difficulties students encounter when learning new ideas (especially in science and mathematics), to how the right software allows for hands-on manipulation of abstract concepts, to the social realities of the educational environment. Lively and engaging, the book is must reading for students, researchers, and professionals in educational psychology, developmental psychology, software design, and for others who hope to see new technologies have a positive impact on our schools. David N. Perkins is Co-director of Project Zero, Associate of the Educational Technology Center, and Senior Research Associate, all at the Harvard Graduate School of Education. Judah L. Schwartz is Professor of Engineering Science and Education at the Massachusetts Institute of Technology, and Professor of Education and Co-director at the Educational Technology Center at Harvard. Martha Stone Wiske is Co-director of the Educational Technology Center, Senior Research Associate at Project Zero, and Lecturer at Harvard. Mary Maxwell West is Senior Research Associate in the Program Evaluation & Research Group at Lesley College. This work brings together leading experts to offer an in-depth examination of how computer technology can play an invaluable part in educational efforts through its unique capacities to support the development of students in the understanding of difficult concepts. It is intended for students, researchers and professionals in educational psychology, developmental psychology, and software design.